Welcome to Business English in Rotterdam. Click to read about upcoming English courses in Rotterdam. The English Center is excited to announce our newest location; Seven Fields in Rotterdam. The Language Center at Seven Fields, in cooperation with Het Coach Huis, is designed as a workplace for professional growth. 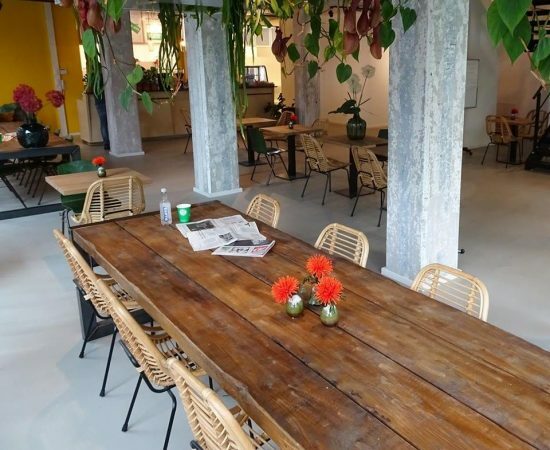 The Seven Fields building is conveniently located in the Rotterdam center at: Wijnhaven 36, 3011 WS Rotterdam. All courses are personalized and taught by talented, qualified native speaker teachers. Ready to get started? Use our online easy intake form to tell us about your English language goals. If you would like to take an English course with us in Rotterdam, you can call us. Or use our contact form to arrange a free consultation intake with an English teacher. You are also invited to take our free level test. Coming soon, weekly open lesson and intake days in the Seven Fields Cafe in Rotterdam.